Winter is an amazing place to be in northern and southern India…. And well, this is my favourite season to be in India! The weather is grey, winds are cool, and everyone is bundled in jackets. But it’s also the time of the year when celebrations begin all over the world, and people huddle around a bonfire, being closer to people, and enjoying that hot cup of tea with friends! Let’s not forget the snow! A myriad of festivals and vacations are lined up in the winter months of India. Local and international travellers hustle their way to the best places to visit in winter in India. After a long hiatus of summer, and wet weather, everyone makes their way in search of more and more offbeat locations for some peace and cold. These are often snow laden mountains, cool beach swims, and deserts that people have been shying away from due to their weather. Here are my favourites of some underrated places that you should just take off to in the winters. However, there’s no dearth of places in a country as vast as India. It’s a country that takes a lifetime to explore and yet manages to throw surprises at you… These exciting and unexplored places in India in winters can turn your regular trip into a new discovery that you’ve been longing for since long. 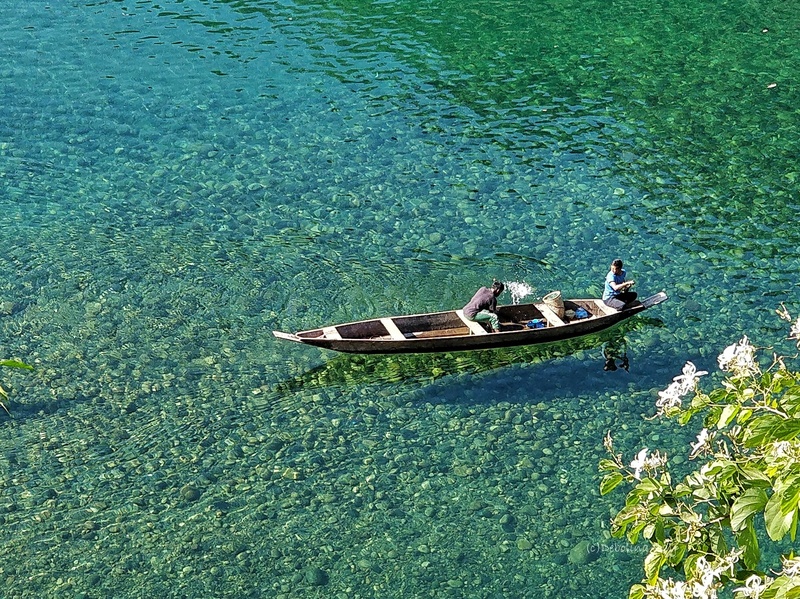 The crystal clear water and lush green all around you, this place is a remarkable place in the north-east. The river is almost like an optical illusion because of its extremely clear surface that you do not realise there is water at all. Though the north-east in essence is a too beautiful place to go anyhow, Dawki river in Shillong is absolutely breathtaking in the winters. The place becomes heavenly in December with a pleasant temperature of 12 to 20 degrees. There are loads of places around Dawki which can be a hike or just walking around the villages. You can also connect with the Khasi tribe people and stay in traditional home stays. Shillong has become even more accessible with the new airport that is well connected to Delhi. Winters also tend to make us lazy and laid back. Binsar is my recommendation for all those people who want to just chill. In the lap of beautiful peaks of Nanda Devi, Pachachuli, and Trishul, Binsar is a just the place to unwind. 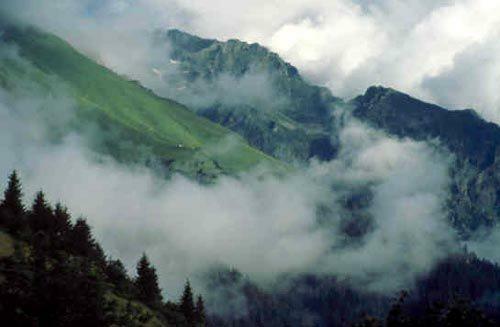 Popular for its wildlife sanctuary, Binsar gets snowfall in the winters and is the place to get cosy. Facing the sky-kissing peaks, Binsar is one of the most beautiful places to visit in winter in India with tall trees capped with snow. You spend the long days around a bonfire watching the tall Himalaya peaks in the distance. For all those who love photography, Binsar is a dream place! At an elevation of 3048 m, the Tawang is a very popular place for Buddhists for the second largest monastery in the world. At a good altitude, Tawang is blanketed in snow during winters. Its natural beauty, silence and absolutely cold weather doesn’t attract a lot of crowd in the winters as it is not easily accessible. The terrain isn’t ideal and often cose during the harsh weather – but being locked up in Tawang in the winters is actually too good! Adventure and thrill are the people you would see in Tawang apart from the locals. It is known for its serious skiing slopes. Untouched by commercialization, it has magnificent views of the snow-clad Himalayas, loads of monasteries, and dotted with lines of colourful prayer flags. The actually highlight is the Losar festival in peak winters (Jan-Feb) with people celebrating with absolute fervour in the freezing cold. Araku valley is an unexplored winter destination in the south. Adventure enthusiasts and locals often visit the valley in the winters – of course the southern mountains like Wayanad, Kodaikanal, and Ooty are quiet nice as well. Araku valley got a wave of fame years ago for the snowfall. However, it was a one-off. Along with awesome weather, the valley is a haven for coffee lovers. India’s first tribal growers’ organic coffee brand was launched in the Araku Valley. The valley is an ideal getaway from the otherwise humid weather. The valley is connected by both rail and road to Vishakapatnam. The Shimiliguda railway station near the valley is located at an altitude of 996 meters above mean sea level. Complete with an old world charm, this beautiful, and mostly untouched is a must explore place in the winters down south. A place unexplored and absolutely non-touristy, though the bustling touristy cities of Siliguri and Darjeeling are quite close, Tinchuley is where you could escape to or spend your perfect winters in. The temperatures dip to around 5 degrees. The river Teesta runs through it with freezing waters and cool winds. Perfect for some peace and quiet, this village gets its name from the three main peaks surrounding it that resemble three chimneys. What adds to the beauty of Tinchuley in the winters is view from its peak – the majestic Mt. Kanchenjunga, and lights dotting the fast paced cities of Darjeeling, Gangtok and Kalimpong miles away. A warning, do head there quickly before it gets touristy! A place that is slowly gaining importance in the trekking circuit, Pelling hasn’t been explored yet. The snow capped mountains have ensured tourists don’t throng the place. With fresh snowfall every day and fires lit up in every house to welcome a tired traveller, the locals are very warm and welcoming. This will surely give you that burst of cold which turns your nose red! This is definitely a place to head for that much deserved winter break and to get lost in the white of the snow. Most of the land around Pelling is still pretty much untouched making it one of the best places to visit in the state. There are some picturesque monasteries in and around Pelling that are almost an adventure to reach. The holy Khecheopalri Lake and the ancient Pemayangtse Monastery are popular among the Buddhist people all around the year though. One doesn’t need to head to snow capped mountains for an amazing winter experience. India is diverse enough – and has winter options without snowfall too! 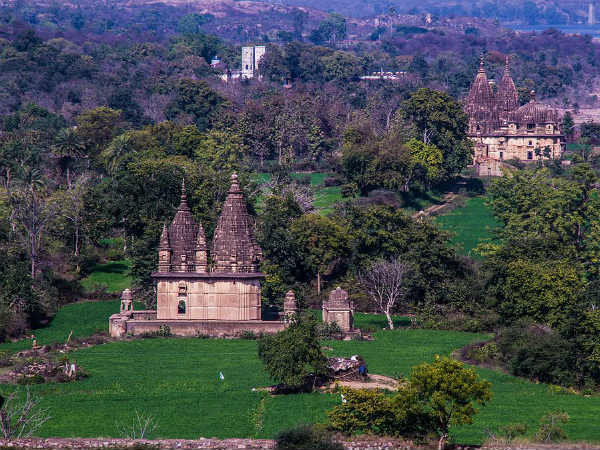 Famous for the temple and fort on the banks of the Betwa river, this town in Madhya Pradesh is like a long-lost world. You would definitely need a jacket here at Orchha in the winters. It attracts tourists before the winter. The fort and ruins become extremely eerie complete with freaky mythological stories that the locals love to scare you with. The local food is extremely delicious, and the locals are extremely homely and love to share a slice of their daily lives. My favourite island to take off to in the winters is Lakshdweep. Spread over 36 islands in an area of 32 sq. kms, with cool water and mild breeze in Lakshadweep is making it more and more difficult to access. Situated off the coast of Kerala, India is one of the world’s most spectacular islands. Tourists hardly go to Lakshdweep in the winters and in general. Part of the island is also a naval base. Due to less tourism, the islands hold untouched and deep heritage of ecology and culture. The coral sandbar and clear waters for adventure sports, and fantastic winter weather makes this the ideal winter destination. Although it is a year-round travel destination, what makes it the most stunning place to visit in India during winters is its pleasing weather particularly in this season. Walking in the narrow alleys of the old town of Bundi is sure to take you back to the centuries past. The homes, the heritage buildings and havelis strewn all over the town is a feast for the eyes. What makes the experience even more memorable is being in Bundi in the winters. The summer is unbearable heat, so come winter Bundi sees a steady stream of travellers and tourists to experience the cool weather. But the energy and vibe in these times bring out the real colours India. Very few places in Rajasthan have been able to retain the charming atmosphere of the olden days and Bundi is undoubtedly one among the best. Don’t forget to taste the local Rajasthani food – you will eat your arm off! You find lots of travellers taking off on their bike to Spiti valley in the summer right till autumn. It is a great experience for sure, but the real facet of Spiti comes alive in the winters. Spiti is not easily accessible in the winters, but this all of a sudden brings out the real traditional culture of Spiti. The transformation of the terrain, the view and the people is dramatic. The difference is stark if you have been there in the summer. It is pure white everywhere! It is absolute fun when you really don’t have much to do during the winter in Spiti and you can actually mingle with the locals, experience, and learn to lead life the tougher way. Howdy, i read your blog from time to time and i own a similar one and i was just wondering if you get a lot of spam responses? If so how do you reduce it, any plugin or anything you can recommend? I get so much lately it’s driving me crazy so any support is very much appreciated.